Here is the list of schedule classes for January and February, 2015. If class times or dates are not convenient to you, One-on-One sessions are always available. Classes are typically held in Boise, ID, at Brown Mackie College at Overland and Maple Grove. Other classroom locations, such as coffee shops and outdoor venues, are used as appropriate. Locations for One-on-One sessions are determined based on the needs of the instruction. Let’s break barriers together. There are many barriers to creative vision, from the seemingly impossible variety of cameras and equipment, to software, missing skills and knowledge, and your fears. I offer a wide variety of photography instruction in a classroom setting, one-on-one, or workshop. 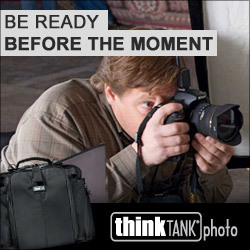 You can take a full class or mix and match the things you would like specific assistance with, like aperture’s control of depth of field, basic image processing and corrections in Elements or Photoshop (which also applies to Lightroom users), long exposure, or the business of photography, among others. Gift certificates are also available in nearly any amount if you know a friend or loved one who would like to have more control over their photographs. Feel free to contact me with any questions. Visit blueplanetphoto.com for details and to register and purchase gift certificates. Let’s break barriers together. 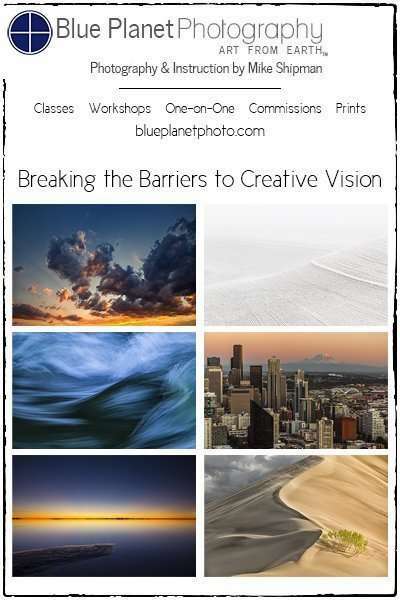 Photography classes, workshops, and one-on-one instruction.